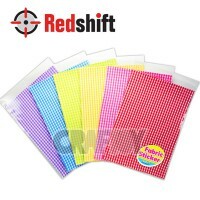 Fabric Sticker #79505 Product size : roughly Big - 5cm Small - 3cm Feature.. 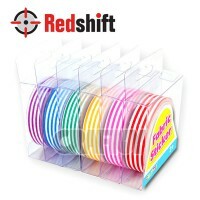 Fabric Sticker - A4 size #79847 Product size : A4 Features - Good for dec.. 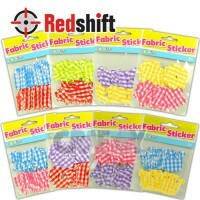 Fabric Sticker - Pre cut #79848 Product size : roughly 5cm Features - Goo..
FFabric Sticker - Tape #79849 Product size :roughly 3m x 15mm Features - .. 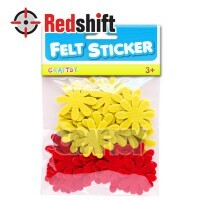 Felt Sticker - Flower #79501 Product size : roughly Big - 5cm Small - 3cm .. 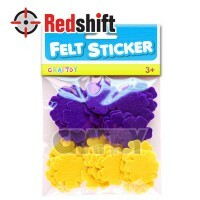 Felt Sticker - Flower #79508 Product size : roughly Big - 5cm Small - 3cm .. 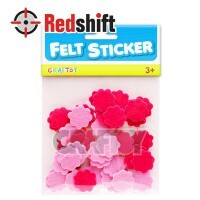 Felt Sticker - Flower #79509 Product size : roughly Big - 5cm Small - 3cm .. 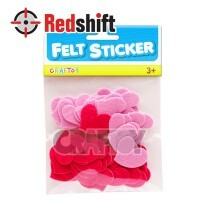 Felt Sticker - Heart #79499 Product size : Product size : roughly Big - 5cm Small - 3cm.. 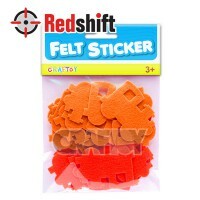 Felt Sticker - Letter #79506 Product size : roughly Big - 5cm Small - 3cm .. 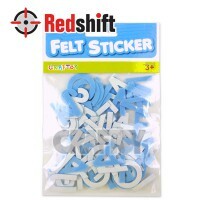 Felt Sticker - Letter Blue #79507-LB Product size : roughly 2.5(H)cm Featu.. 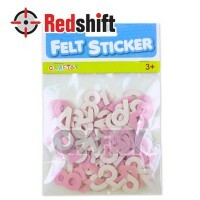 Felt Sticker - Letter Pink #79507-LP Product size : roughly 2.5(H)cm Featu.. 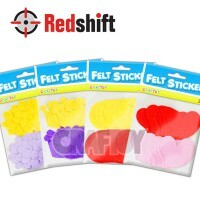 Felt Sticker - Pre Cut #79891 Product size : roughly 5cm Features - Good .. 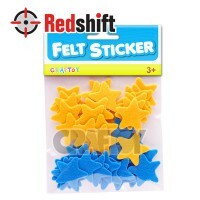 Felt Sticker - Star #79500 Product size : roughly Big - 5cm Small - 3cm Fe.. 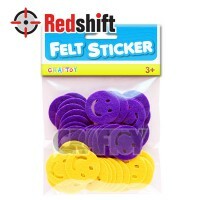 Felt Sticker - Train#79504 Product size : roughly Big - 5cm Small - 3cm Fe.. 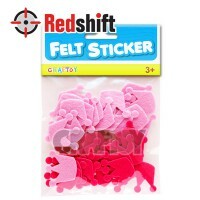 Felt Sticker- Crown #79502 Product size : roughly Big - 5cm Small - 3cm Fe..